The Torah commands us to circumcise our newborn sons on the eight day of their new lives. This powerful ceremony celebrates new life, and also brings our sons into Judaism’s sacred covenant. Rabbi Gottlieb can put you in touch with a Mohel (ritual circumciser),help the parents understand the ceremony, and co-officiate, along with the Mohel. We celebrate the great blessing of a newborn daughter with a ceremony that brings her into the covenant, and confers upon her a Hebrew name. Rabbi Gottlieb can help you think through and design this ceremony, which can take place either at home or on a Shabbat at the synagogue. Bar/Bat Mitzvah students are moving from childhood to adulthood, from learning to be responsible to being responsible. As a son or daughter of the commandments, our B’nai Mitzvah students commit theemselves to participation in Jewish communal and family life. Contact Ricki Weintraub at rweintraub@bij.org for more information. Rabbi Gottlieb can help you prepare for this wonderful, joyous occasion, by helping bride and groom to understand the meaning of the ceremony, from Ketubah (marriage document), to Kiddushin (Engagement) to Huppah (Marriage Canopy) to Nissuin (marriage ceremony) to breaking the glass. We also offer you Jewish wisdom in preparation for a life dedicated to love and companionship. Rabbi Gottlieb will be glad to work with you in designing the ceremony, sharing his knowledge and experience. Our tradition offers several powerful end of life rituals – Kriah (tearing of a garment), Levayah (funeral procession), Hesped (eulogy), Kevurah (burial) and Shivah (seven days of mourning). 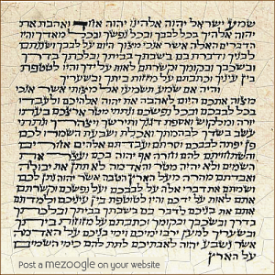 Rabbi Gottlieb will instruct you on these and other rituals, and perform the funeral service. In addition, we can provide accommodation for a meal of consolation, and help you understand and implement other meaningful Jewish mourning practices. If you would like to sponsor a Kiddush or a Kiddush luncheon as part of a life-cycle celebration or in memory of a loved one, our staff can assist you with all the preparations! Please contact our Interim Administrator, Deb Braun at dbraun@bij.org for more information!